In Rochester, New York this year (2001), there is an art project called "Horses on Parade". 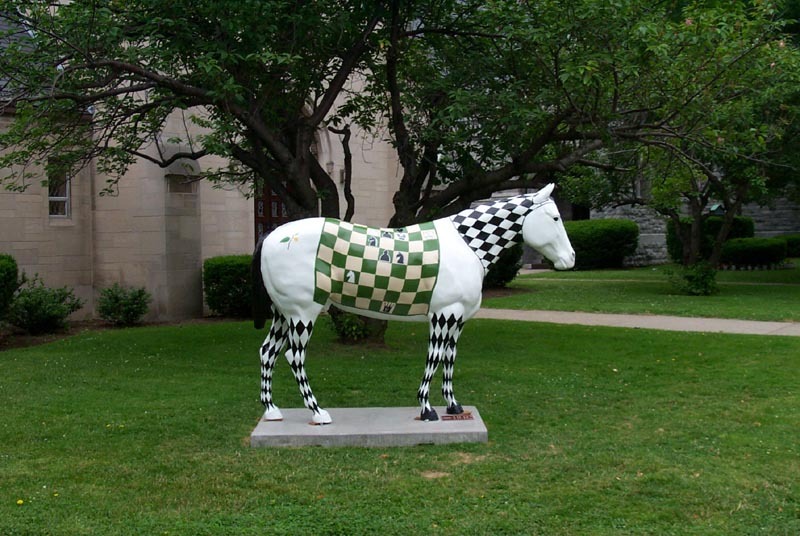 Dozens of painted horse statues have been placed around the city for people to admire. 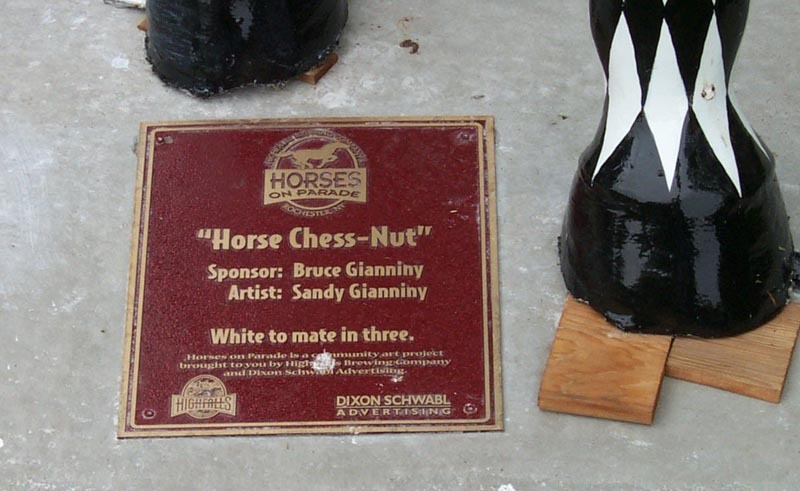 One horse that struck my fancy was "Horse Chess-Nut" by Artist Sandy Gianniny (sponsored by Bruce Gianniny). 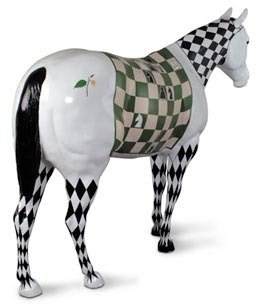 Horse Chess-Nut has a chess board painted on each side. Each board has a chess problem on it, "White to mate in three". The photograph to the left was taken by Kurt Brownell. Below are some pictures I took, along with diagrams of the two chess boards. Horse Chess-Nut. 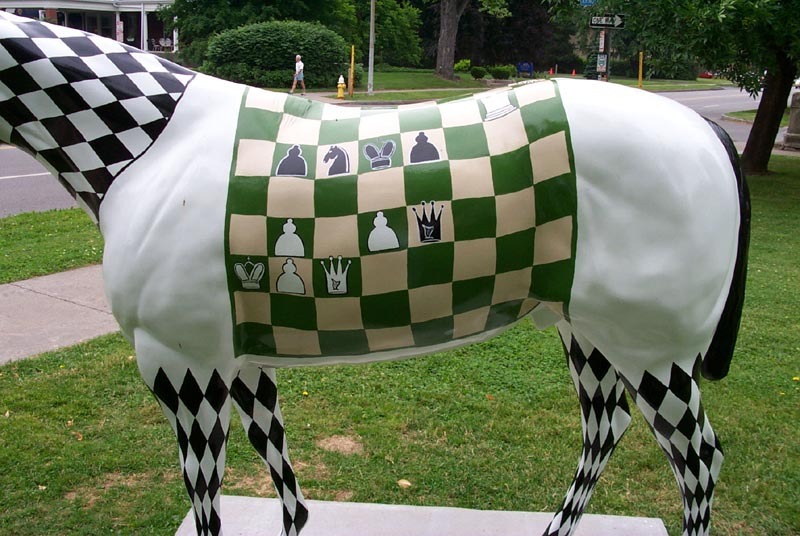 Horse statue with two chess problems painted on it.